I really loved The Lost Girl by Sangu Mandanna. Right from the very first page, I loved Eva's voice and I wanted to know more about her story. I think the thing I loved the most about this book was the strength and determination of Eva to survive and also that there were so many people around her who cared for her. 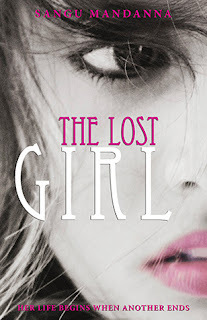 The Lost Girl is the story of a girl who is not in control over her own life. She has been created by the weavers as a substitute. If something were ever to happen to Eva's Other, Eva would have to take that girl's place and Eva spends her days trying to study and mimic the actions of Amarra. Eva isn't supposed to experience things that Amarra hasn't done, taste things that Amarra hasn't tasted and she certainly isn't meant to fall in love or have her own hopes and dreams. Only those of Amarra's are important. After sixteen years of isolation and study, Eva should be ready to step in straightaway, especially after she hears that Amarra has died suddenly in a car accident. And while Eva has always struggled with following the rules, now that she steps in as Amarra in India, she has to be very careful in the things she says and does as her very life depends on her getting it right as Amarra. Can I say right now that I loved that Eva/Amarra are both Indian. There definitely needs to be more main characters that aren't white for the readers out there (like me!) who are also not white. And I loved both the settings of Eva in England and also Eva-as-Amarra in India. 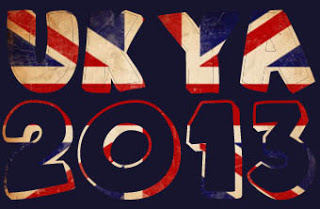 I think India is definitely one of those places that needs to be written about more in YA! I also love the way in which Frankenstein is woven into the storyline. It is the rule that is never broken, allowing Echos to read the story of Frankenstein. The Lost Girl really made me curious to pick up this book and to read it with Eva's story and her perspective in mind. It's a really interesting concept, this one. I found myself endlessly fascinated with the origin of the weavers and of their work and how the concept evolved. It was interesting to see how Eva is treated by her classmates and other people who know she is an echo and then to see the contrast of that with her guardians. Especially Mina Ma, who has quickly become one of my favourite recent secondary characters. Their relationship, the strength of it, really made me cry on several different occasions because that sort of emotional connection and bond between two people who aren't related is what I search for on a personal level! It came across as really believable and emotional. And while I loved Sean utterly and entirely and I found myself falling in love with him just as Eva does, it is Mina Ma who steals the show for me! Eva has an incredible voice. There's such beauty in her thoughts and actions. And I loved seeing the different sides of grief and bereavement after the death of Amarra. This from Amarra's younger siblings, her parents, her friends and from her boyfriend. All of whom react very differently and connect with Eva-as-Amarra in very different ways. I think Eva-as-Amarra goes through some incredibly hard situations within this book and I really love that while things are tough, there's always that sense of hope and fight within Eva to keep going with the idea that things could be better. The Lost Girl is an incredible, beautiful and hopeful debut novel and I really recommend that you read it!